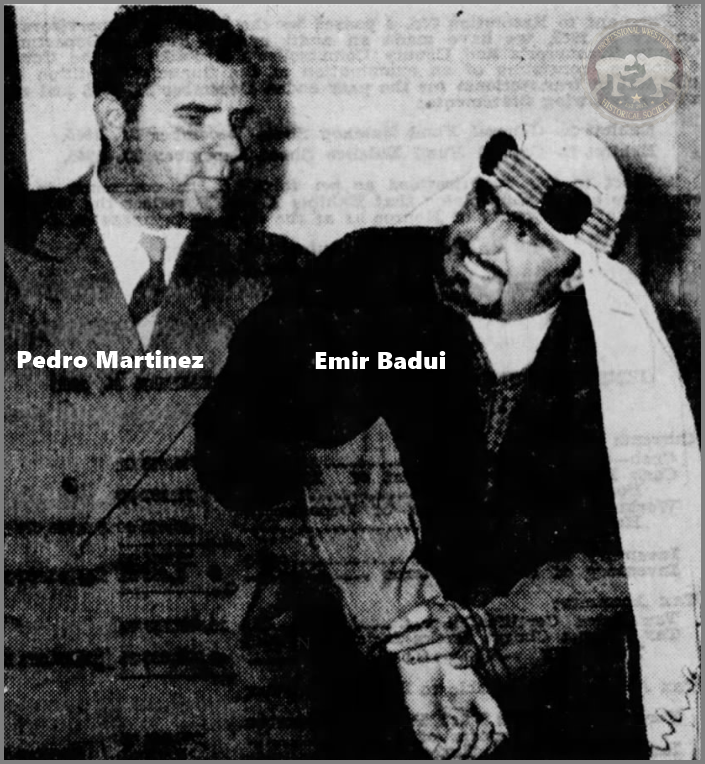 Emir Badui debuted in 1938 in San Antonio, Texas. Pedro Kuri Mait, Prince Badui, Prince Emir, Prince Emir JoJo, Sheik Abed, Sheik Abid, Sheik Badui, Sheik Ben Ali, Sheik Ben Ali Lawrence, Sheik Clarence and Sheik Lawrence Badui. He was a former Rocky Mountain Heavyweight champion. He had runs in places like: Texas, Tri-State, Los Angeles, Georgia, Stampede, New York, Toronto, Oregon, and several matches in some other territories. He retired from active competition in 1956, retiring to Georgia.